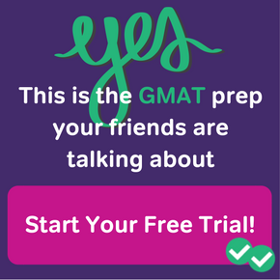 Taking the GMAT Again: What Score Increase Can I Expect? 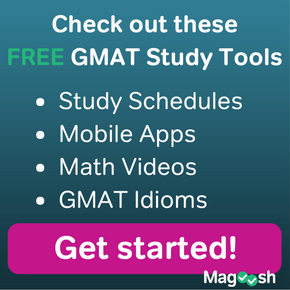 Deciding to retake the GMAT is not a simple choice. Not only do students have to consider their limited time, but they also need to consider whether or not their score will improve. But what are the chances that their score will improve? How much will it improve? What can they do to ensure their score goes up and not down? Are their similarities between retakers that students should know about? The Graduate Management Admissions Council (GMAC) wondered the same thing. They conducted a study with approximately 28,000 students who took the GMAT in 2003 and then retook the test later in 2003 or in 2004. By looking at student performance on two tests and collecting demographic information about the test takers, they were able to find some interesting correlations. What Does a Retaker Look Like? One interesting aspect of the study was the analysis of how many people retake the test and what was similar between them. Of 161, 221 test takers in 2003, they found that a little less than 18% of them retook the test before August 31, 2004. When compared to one-time test takers in this period, the retakers tended to have lower Verbal and Quantitative scores, were less likely to have completed the test, and were more likely to have a GMAT much lower than would be expected when compared to their undergraduate grade point average (UGPA). One of the most astounding points that is made in the study comes at the end. The study states that fluctuations in scores from test to test are expected due to measurement errors. They recommend looking at two scores from two students and consider this margin of error. That means a student with a score of 640 and a student with a 600 should be considered more similar than not. And the study continues, looking at individual scores and changes that occur test to test. When I first read this, I found it astounding! Students can see a shift of 28 points with no learning between a test, and 40% of the test takers they looked at fell in this range. That means, you could do absolutely nothing and see gains in your score. Or you could see your score drop. Often students want to bump their scores in big ways—from 600 to 700, or sometimes even greater, such as 500 to 700. The study did look at bigger gains, but they found that “a small portion of examinees who retake the GMAT®, about 10%, obtain a significant gain of 100 scaled-score points or more.” So it seems that likelihood of a big jump is low, especially if you are looking for a 200 point gain. Not to say that this doesn’t happen or can’t happen—it’s just hard to do. Make sure that you need to make a jump this big before spending all your time studying for a GMAT retake. To see how your GMAT score stacks up to the average scores of top b-school programs, take a look at our GMAT scores infographic. Although the study was able to identify students with big gains, they were unable to identify any meaningful pattern or correlation with these test takers and their characteristics. examinees whose self-reported UGPAs were relatively higher than their first-time GMAT® Total scaled scores. So if you find yourself meeting many or all of these criteria, it may be worth retaking the test, especially if you were not able to complete the test the first time you took the test. I should also note that not meeting these requirements is not an indication that you won’t improve your score. Students who were not in theses groups had score increases too. At this point, you may feel like you won’t see any difference in your score if you retake the test. Or you might feel like you are only going to see modest gains. Fret not! There are definitely some things that you can do to ensure that you do see improvements. First off, the fact that you already took the test is a huge benefit. You now have a clear idea of the look, feel, and content of the test. You have experience to lean on. Second, preparation will absolutely make a difference. Just taking the time to prepare more will definitely make a difference. Make sure that you are preparing properly for your retake. Third, use materials as similar to the real test as possible or use official materials. We work extremely hard at Magoosh to make our questions as similar to the test as possible. When students take the test, they provide us feedback and we make changes. Our content team takes the test on a regular basis too. Finally, use a lot of different materials. We recommend using Magoosh in concert with Official materials and other test prep books, such as Manhattan. The variety and breadth of practice has been shown to improve scores for retakers. Some of this might have been surprising. 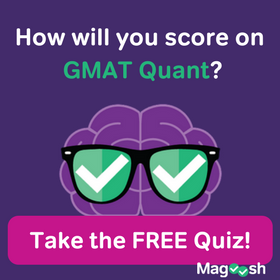 The GMAT is not a perfect measure and score fluctuations of 28 points are to be expected. Also, it will be hard to have significant gains of 100+ points on a retake. But that is not to say it is impossible. Hard—Yes! Impossible—No! Just make sure that you are taking all the necessary steps to improve your score.